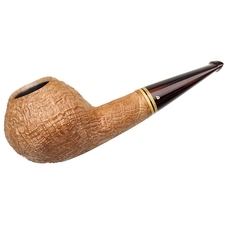 A fairly compact design, this bent Acorn from Gabriele boasts a rugged and organic persona, as if combining the craggy texture of an oak tree to the rounded profile of its fruit all in one shape. 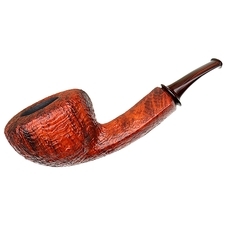 Gently curved and ever urging itself forward, this offering displays a playful, dynamic silhouette that does well to match the boxwood accent and polished rim that are so apparent against the deep, ruby-brown finish of the rest of the piece. 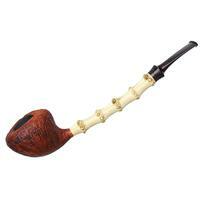 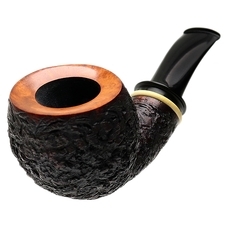 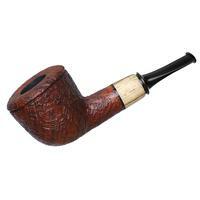 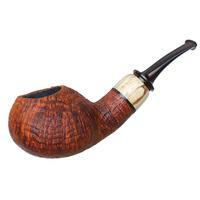 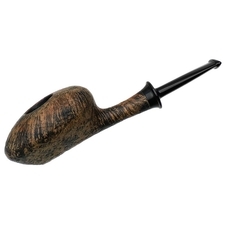 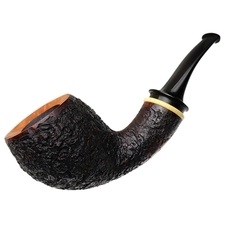 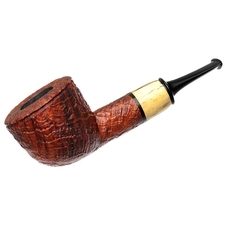 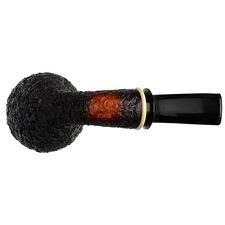 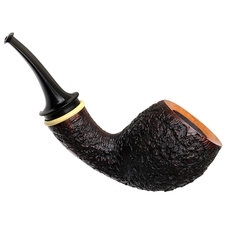 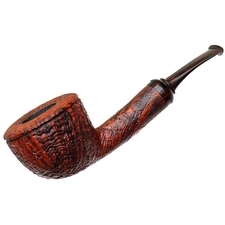 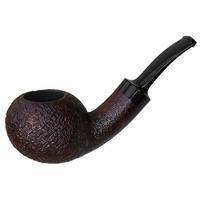 A joy to hold and examine, this stunning pipe is sure to be a favorite all around.